Are you looking for GB Energy reviews? This company with a mixed history has been owned by the Co-operative since 2016 when Ofgem appointed them to take over when GB Energy stopped trading. While GB Energy is no longer taking new customers, their website does forward potential customers to the Co-operatives energy company. Let’s dive in and learn more. GB Energy supply was founded in 2014, and by 2015 it offered amongst the cheapest tariffs on the market, finally supplying over 140,000 homes across the UK. Unfortunately, by 2016 it had gone bust, blaming rising energy prices and the inability to purchase bulk energy to access the best savings for themselves and their customers. Which? Recorded GB Energy’s survey results in a customer score of 61%, due to the clarity of invoices and value for money. However, they did not receive a score for customer service or complaints handling. It seems that before the company went bust in 2016, customers were delighted with their expenses and fees according to reviews on Trustpilot. They cited low costs, helpful customer service and their issues were resolved in a short amount of time by friendly staff. In October of 2016, customers of GB Energy were suddenly hit with a new pricing structure that would increase their variable tariffs by a massive 30% on average. This would cost their 80,000 customers at the time a more massive bill, with some customers on Twitter claiming that they received an email saying they would have a 32% cost increase in only 30 days. Unfortunately, once the company had been officially taken over by the Co-operative, there was a large amount of negative GB Energy reviews on Trustpilot as the Co-operative further raised the prices of their tariffs, matching many of the ‘big six’ energy companies, which many do not expect from a smaller company. Note: As reported by the Independent, the Co-operative energy company has raised their tariffs by a further 5.2% on average in 2018. Find out how you can lower your household energy costs here. Although I was calling to complaining it was handled very capably by Corey. He solved my issue without any problems and made the call a lot less painful than I thought it would be. If the situation were done correctly in the first place I would not have had to ring up but the company is lucky to have a helpful customer service agent otherwise this would not have gone done well at all. If I could give no stars, then I would. Customer service is very poor. Customers are an inconvenience to the staff here. Roll on September when my contract ends, and I will be free to go to an energy provider who values their customers. Unfortunately, with an overall Trustpilot score of 1-star, GB Energy does not have a positive customer reputation, which has seemingly been due to the fact the Co-operative takeover in 2016, as previous to that customers seemed satisfied with GB Energy overall. Many of the negative reviews are based on poor customer service, unexpected bills and many cases of overcharging. Over the last few months, l have spoken to some people, including a manager. Everyone has been very helpful, knowledgeable and a joy to deal with. I’ve only dealt with them to close my account, as l had found a cheaper supplier. Unfortunately, my cheaper suppliers do not have the excellent customer service skills of GB Energy part of Co-Operative Ltd, Warwick Technology Park. As other people on this site have stated, IF I COULD GIVE THEM ZERO STARS I WOULD! I am a landlord & my previous tenant choose this company. They overcharged me dramatically for the period between tenants. 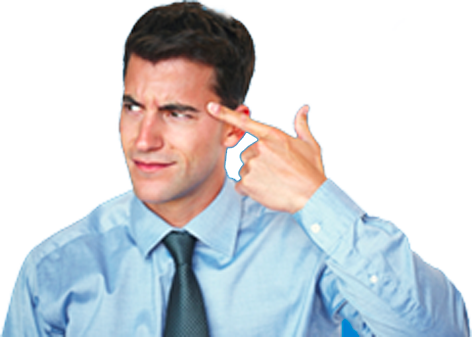 Demanding things like tenancy agreement copies with dated etc. and ten ignoring my once I provided them. They would not speak to me saying it was in the hands of their debt collector. The debt collector was more understanding and accommodating than GB energy. Deducted another £44 from my account the day after it’s been closed. You also have to ask them for any refunds on accounts in credit. Avoid them! As GB Energy is no longer taking on new customers, you will become a Co-operative customer. Remember to always compare prices before you decide on the right energy supplier for you. As GB Energy is more of a brand than an active company, the Co-operative has taken over GB Energy’s customers. 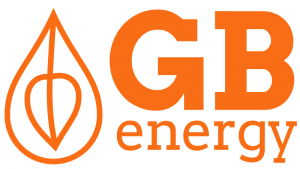 If GB Energy (now a part of the co-operative) could get back to the lower rates that GB Energy customers enjoyed before the company went under then this company would definitely rate higher for price. Although there is usually an adjustment period when a company is taken over by another, which can account for many of the bad reviews, it is still important to take these points into consideration before deciding to switch.